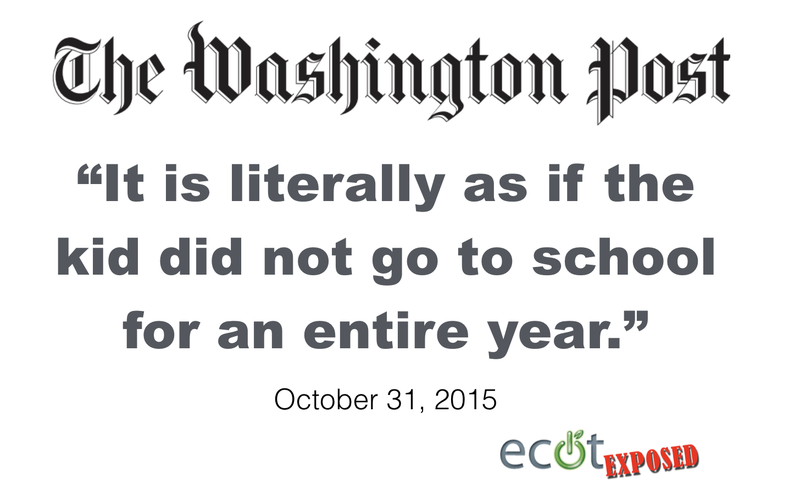 The Dispatch reports that ECOT students may not be meeting the required 920 hours of learning time per year as required by law and also points out that ECOT’s owner, William Lager, is one of the GOP’s largest donors. The initial review also flagged that student attendance records did not match the amount of time reported in Ohio’s statewide education data collection system. ECOT, which enrolls nearly 15,000 students, is set to get about $106 million a year in state funding over the current two-year budget. Millions of those dollars go to IQ Innovations and Altair Learning Management, companies closely associated with William Lager, founder of ECOT and one of the largest individual campaign contributors to legislative Republicans in the last decade. 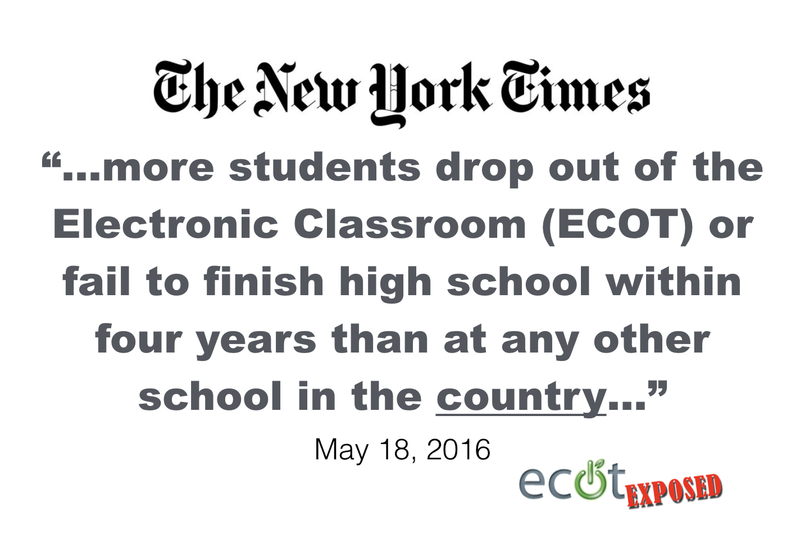 The ECOT Report Card in 50 Seconds. Author keving722Posted on May 15, 2016 May 15, 2016 Categories PerformanceTags ECOT Performance, original, Video1 Comment on The ECOT Report Card in 50 Seconds.